Congratulations to all 2019 BRIDGE Awards Finalists! Home Grown Award Finalists: Companies that offer training and/or programs that promote upward economic mobility within the organization, as well as creating opportunities for an individual’s overall career. Arborwell is an employee-owned tree service company committed to providing flawless execution of arboricultural services that enhance the beauty, health, safety, and value of trees. Arborwell hires a diverse population including currently/formerly homeless, and encourages all employees to seek further training and credentials (the cost of which gets supported by the company) in order to assist with employee career growth. The Bank of America Corporation is a multinational investment bank and financial services company. 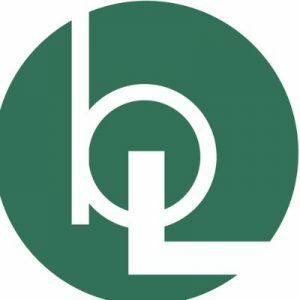 Locally in the Bay Area, BoA hires a diverse workforce comprised of people from a variety of backgrounds, including those who do not have college degrees. For those hired, career mobility is an important part of the Bank of America culture. Employees are encouraged to explore new opportunities outside their current group or region and are offered wide-ranging training opportunities to help them develop their skills. Since 1963, Pankow has benefited clients through creative problem-solving, engineering expertise and construction innovation. The company adds value to project teams with their expertise in design management, sustainable design and construction, virtual design and construction and lean construction practices. Pankow values diverse experiences and perspectives to enhance their solutions, teams and work product. Employees benefit from one-on-one technical training, group workshops, and an emphasis on self-awareness through journaling, enneagram, and giving/receiving skillful feedback through ones career. The San Francisco International Airport (SFO) is San Mateo County’s largest employer with over 43,000 jobs currently and forecasts of 5,000 more in the next 5 years. SFO has welcomed hundreds of local youth for internship and training opportunities; 90%+ of successful internship graduates are transitioned into permanent employment. A range of services is offered for trainees including free transportation to and from SFO, professional attire, computer classes, financial literacy coaching, and resume and interview support. SFO also offers its employees free tax preparation, first-time homeownership and credit score improvement presentations, citizenship application workshops, substantially subsidized childcare and an employee BART discount card. The Silverado Farming Company oversees farming for more than 600 acres of prime vineyards from some of Napa’s top appellations. Silverado provides education opportunities for employees, such as English as a second language and Spanish writing courses for immigrant employees with low levels of education. Silverado also offers PTO, full benefits, health screenings and leadership workshops. Small Business Award Finalists: A small business (200 people or less) that strives to pioneer innovative and inclusive hiring practices. 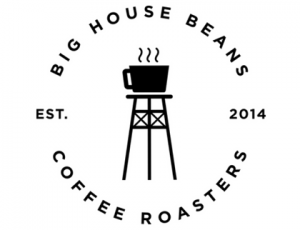 Big House Beans is a specialty Coffee Roaster that sources and roasts the best coffees from around the world. They believe in empowering people and potential through highlighting diversity. Filtering coffee, but not people. They hire, mentor and teach skills to the “least desirable” yet hard working women and men who have the heart to learn and grow. Big House Beans seeks to hire formerly incarcerated persons, as they believe in second chances. Red Bay Coffee is a specialty coffee roaster that prioritizes diversity and places inclusivity at the forefront of the company culture. They envision a global community in which coffee is a vehicle for inclusion, social and economic empowerment, entrepreneurship, innovation, and environmental sustainability. Red Bay Coffee aims to create beautiful coffees, fair relations, delicious approaches to living and fosters opportunities to transform low-wage jobs by partnering with local organizations that have shown a commitment to racial and social justice. Yerba Buena Engineering & Construction, Inc., consciously chose to locate in San Francisco’s Bayview District so it could contribute to the underserved community while taking advantage of federal procurement geared toward local empowerment. The company, like its community, is diverse. All but four of its 35 employees are minorities. By hiring locally, training and mentoring, and promoting from within, Yerba Buena helps Bayview residents to stay in their neighborhood and thrive. Family First Award Finalists: Businesses who strive to implement family-friendly workplace practices, providing opportunities for families, providing a sustainable work/life balance. Bay Area Legal Aid provides access to the civil justice system through quality legal assistance regardless of a client’s location, language or disability. Its family friendly work environment includes: flexible schedules; six month paternity leave; Sabbatical leave after five years of employment; Law school loan repayment; and bilingual wage differentials. Clif Bar is a company guided by Five Aspirations, or five bottom lines: Sustaining Our Business, Brands, People, Community and Planet. We’re family and employee owned, where our people come first. Some of our family-friendly practices include generous paid time off, flexible works schedules to foster and sustain a work-life balance, on-site subsidized childcare at headquarters and adoption assistance to cover adoption expenses. At Clif Bar, we strive to run a different kind of company; a company where our employees can grow and succeed as they live the lives they want to live. Our company is our people. Genentech is a leading biotechnology company that discovers, develops, manufactures and commercializes medicines to treat patients with serious and life-threatening medical conditions. Genentech offers a variety of family-friendly benefits such as lactation rooms, onsite day care, flexible schedules, adoption benefits, and parental leave for birth/non-birth parents. Innovation Award Finalists: New, experimental models within the company with exceptional hiring practices for people with nontraditional backgrounds (i.e. no college degree, veterans, formerly incarcerated, etc.). 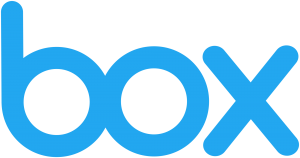 Box is the cloud content management company that empowers enterprises to revolutionize how they work by securely connecting their people, information and applications. Box works with numerous community-based organizations to hire employees from diverse backgrounds, including mature workers, women, veterans, and low-income. They host career days, donate time, money and technology; and create professional career pathways and internships specifically for students with non-traditional backgrounds. Checkr is a background check company that recognizes that the screening industry is traditionally known for creating barriers to individuals with a criminal record. Checkr has intentionally committed to being a part of the solution by helping employers better utilize background checks to actively seek out and hire people with criminal records by lowering the barrier to jobs without lowering the bar on top talent. Checkr has also instituted internal fair chance practices; today, over 5% of their employee population is fair chance or reentry and they have a full-time Fair Chance Programs Manager role to support their internal programs and population. The Access Local Talent Program at Facebook helps residents of East Palo Alto, Belle Haven, and North Fair Oaks including those currently/formerly incarcerated, mature workers, currently/formerly homeless, women, veterans, disabled, low-income, and immigrants. When local applicants are not chosen for a job at Facebook, it doesn’t stop there. The applicant can meet with the Talent Partner who will help them explore career options and recommend education or training to match the goals of the applicant, using the Facebook influence and example to show how pathways can be created. 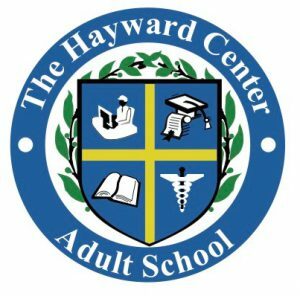 The Hayward Adult School partnered with the City of Hayward and created the Raising Leaders in Hayward-Workshop series which serves low-income students that attend Brenkwitz Continuation Highschool, Hayward Adult School and Burke Academy. The workshops are held inside of chambers at City Hall and each series lasts 8 weeks. Our pool of leadership speakers work in the district, city and county. Students gain five school credits and receive certificates of completion from our County Supervisor Richard Valle, Congressman Eric Swalwell and Assemblymember Bill Quirk. After youth successful complete their workshop series they are able to interview for a internship within the City of Hayward’s wide range of departments. Our goal is to give our students that lack the most resources in our community work experience in their dream field and remind our youth that their dreams can become a reality! 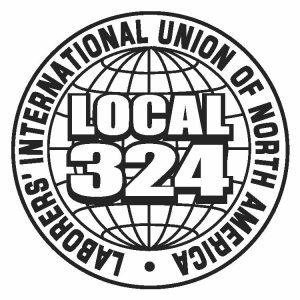 Laborer’s Union Local 324 develops relationships with service providers to help create a path for qualified individuals to find successful employment. Current programs exist in many prisons including San Quintin and Folsom which help currently incarcerated individuals with construction training while they are serving time, and then gain employment in the construction field once they are released. Palo Alto Networks is the global cybersecurity leader, known for always challenging the security status quo. The company’s mission is to protect our way of life in the digital age by preventing successful cyberattacks. 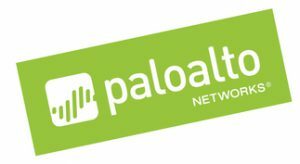 Palo Alto Networks enables tens of thousands of organizations with its pioneering Security Operating Platform, which provides highly effective cybersecurity across clouds, networks and mobile devices. Slack is a global collaboration hub that makes people’s working lives simpler, more pleasant and more productive. Slack, together with The Last Mile, the Kellogg Foundation, and John Legend’s FREEAMERICA, created Next Chapter, an apprenticeship program to train and mentor formerly incarcerated individuals. The program is designed to help returning citizens find consistent and reliable employment, and shift perceptions around formerly incarcerated individuals. Tried & True Award Finalists: A long standing program, method or practice that continues to provide and sustain jobs to people with nontraditional backgrounds. 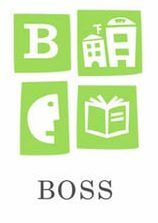 Building Opportunities for Self-Sufficiency (BOSS) is an award-winning nonprofit organization that works one-on-one with families and individuals to help them achieve stable income, permanent affordable housing, and lasting wellness. BOSS administers and recruits its own employees from its Reentry Career Training and Employment Center that serves individuals returning to the community from incarceration, homelessness and individuals who were involved in gun and gang violence. More than fifty percent of BOSS’ workforce have non-traditional backgrounds, specifically homeless, disabled and/or formerly incarcerated. Goodwill is a nonprofit organization that provides job training, employment placement services, and other community-based programs for people who have barriers preventing them from otherwise obtaining a job. Goodwill is a second chance company, employing individuals with no high school degree and recently incarcerated. Goodwill believes that people all deserve to have a chance to better their life regardless of what was in their past. Safeway has been proudly serving Northern California since 1926. Safeway has a long-time commitment to diversity and inclusion, ensuring employees reflect the diverse communities they serve. In addition to hiring a diverse workforce, Safeway hires individuals with barriers to employment including no college degree, veterans, laid off workers, mature workers and those with disabilities. They also have various employee resource and network groups, such as Women’s Network Group, Hispanic Leadership Network Group, Asian Network Group, Safeway African American Leadership Network Group, GALA (Gay and Lesbian Alliance), to name a few. Stanford Health Care is a renowned leader in healthcare, providing top notch care to patients and leading the way in scientific discovery, technological innovation and translational medicine. Stanford has a long history of offering entry level positions with various training courses and learning opportunities which are available throughout the employee’s career, to encourage career growth. Some such opportunities include Externships, Internships, Fellowships, Residency Programs, Career Ladders, and Tuition Assistance/Grants. Starbucks employs more than 350,000 partners (employees) that represent the diverse communities they serve around the world. They include working parents, military spouses, students and even those young people for whom putting on the green apron represents their first job – all working to achieve their own personal and career goals. We are committed to supporting our partners and their aspirations at Starbucks and beyond. As part of our commitment to the communities we serve, Starbucks is a key driver of the 100,000 Opportunities Initiative, the country’s largest employer-led coalition committed to creating pathways to meaningful employment for young people. The coalition hit its goal of hiring 100,000 opportunity youth – the population of 16- to 24-year-olds who are out of work and not in school – in August, two years ahead of schedule, and is now aiming for 1 million opportunities by 2021. As of January 2019, we are more than halfway to our goal with over 65,000 hires. Swinerton is a commercial construction company, and is also a community builder. For 25 years Swinerton has worked to create opportunities for people with non-traditional backgrounds to work on their projects. Swinerton hires individuals with no college degree, immigrants, veterans, and formerly incarcerated to name a few. In Northern California, Swinerton also engages with over 15 organizations committed to providing skills training to populations often overlooked. Join us for the 2019 BRIDGE awards!